We don't want to spend another minute thinking about the devastating end to the Patriots' season, so we're officially moving on to the Red Sox. It looks like J.D. Drew is on board to fill out the lineup. 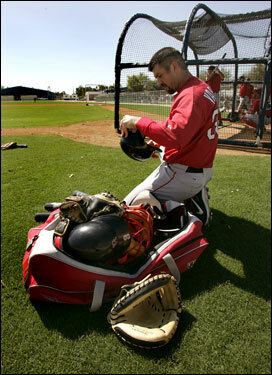 And pitchers and catchers report to Fort Myers on Feb. 16. To get you warmed up, here are five questions facing the Sox heading into spring, starting off with the Drew deal. So put down your tissues and chime in with your answers.